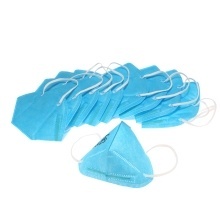 *Protective dust masks,with the functions of anti-pollen allergy/anti haze/anti-fog/anti secondhand smoke/anti exhaust and some other places with dust pollution. *Line with adjustable nose clips,which help different users to achieve good facial contact.Cotton material head strap for comfortable wearing. *Higher filtration efficiency,giving you healthy air.Superior breathability and anti dust effect. *Non-woven fabrics material,easy to carry and clean.